There is something in the air or water or both. 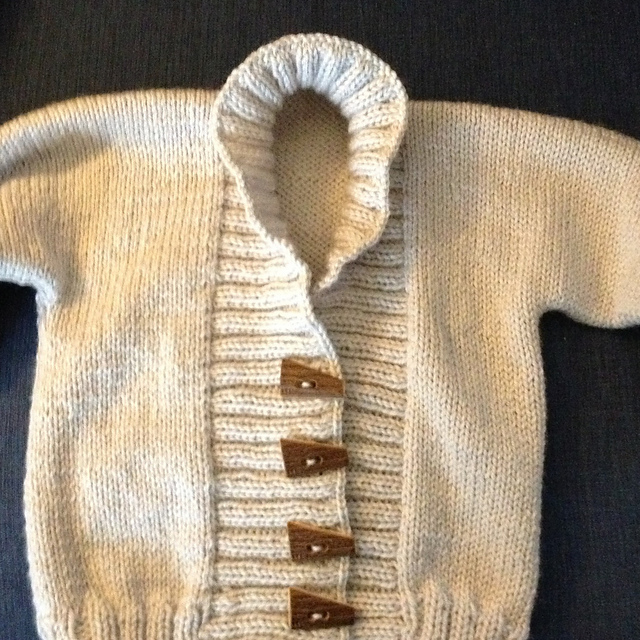 Almost everyone I know is having a baby and I am finding myself searching Ravelry for baby patterns. 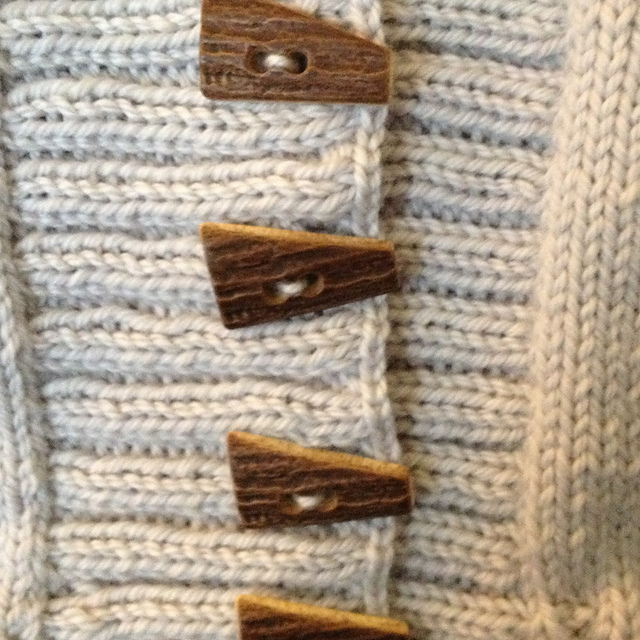 I keep coming back to Debbie Bliss’ Ribbed Baby Jacket. This is probably my 5th jacket. Getting better with the side seams but still not thrilled with the sleeves. I have since read that there are modifications that might make this look a little better. I understand that a few others have knitted this recently too. Just about to cast on the 6th for another friend who is having a baby in December. This one is Bendigo 8ply with buttons from Wondoflex. Sometimes it happens that the project is ‘Not Quite Right’ (NQR) for whatever reason. Either the yarn isn’t quite what you wanted it to be or somehow the combination of yarn and pattern aren’t the match made in heaven that you intended. 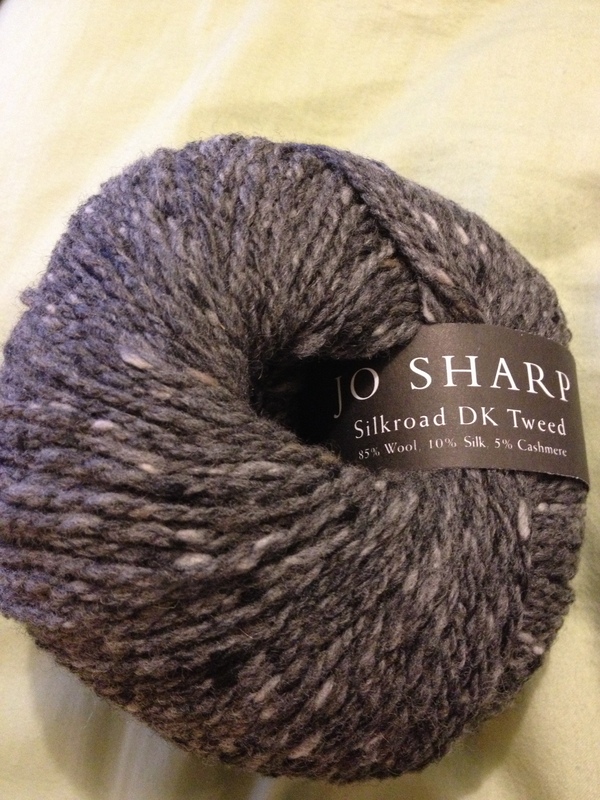 Such was my dilemma over Jo Sharp Silkroad DK and a scarf pattern. The scarf is for my cousin in the US. I particularly wanted the wool/cashmere blend for him and yet whichever pattern I swatched for didn’t quite excite me. 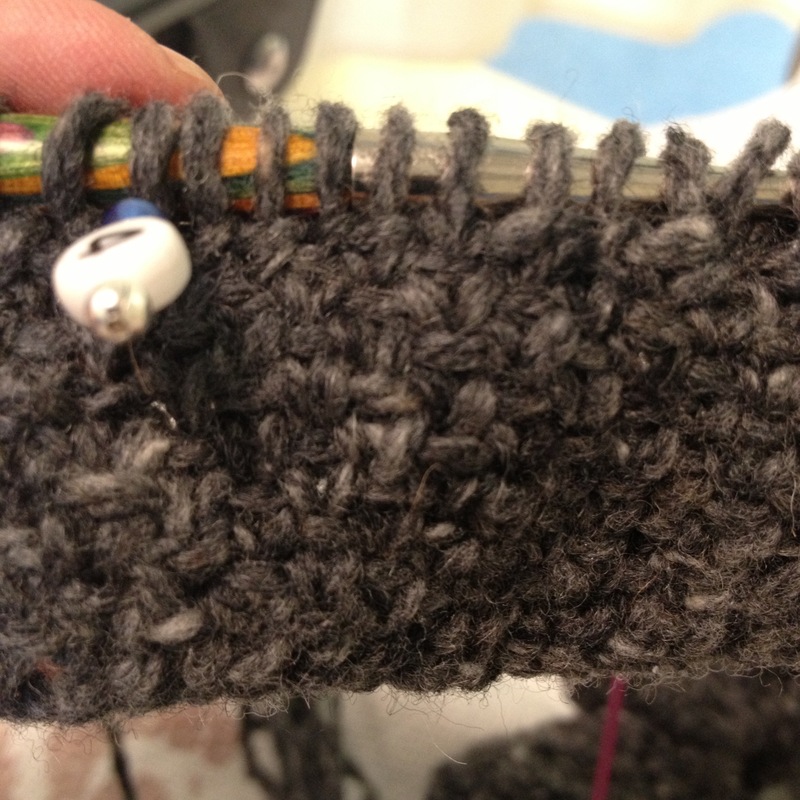 The Silkroad DK doesn’t create a well-defined stitch so anything that relied heavily on the stitch itself didn’t look that great. 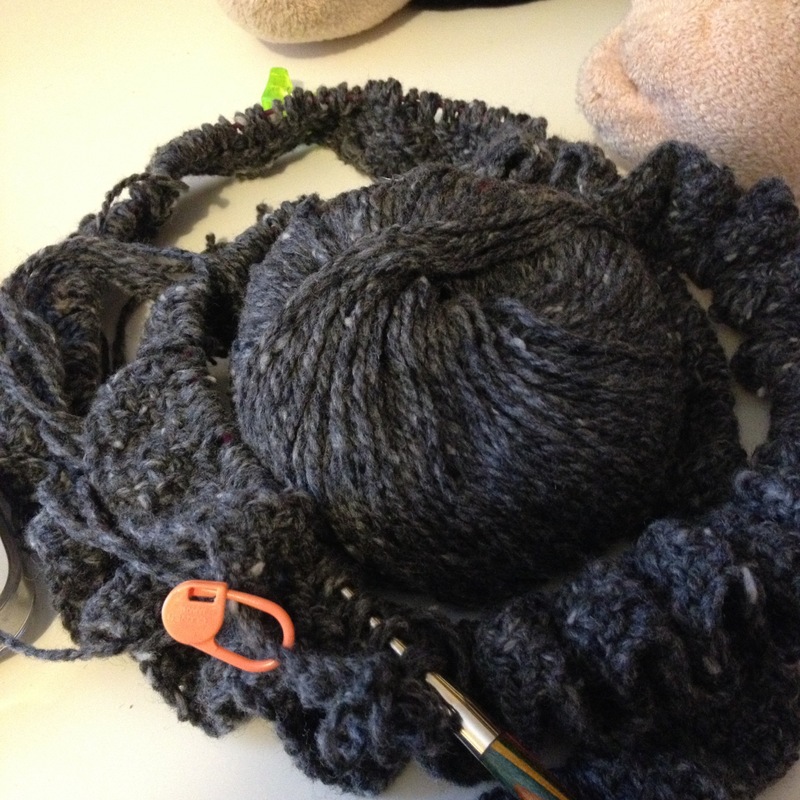 I started the scarf in a simple moss stitch and that was too simple. Finally, thanks to my Ravelry friends I decided on the Mini Mania scarf. The beauty of this pattern is you can escape the 400+ purls by simply sliding the scarf back to the beginning and continuing with another length of yarn (creating tassels along the way). While I am sure this will look much better in the multi-coloured yarns it was intended for, its working quite well with the Silkroad DK and finally NQR has become QR.